The 2013 documentary The Irish Pub is a eulogy to the greatest institution in Irish society, the pub, or more specifically the traditional Irish publicans who run them. 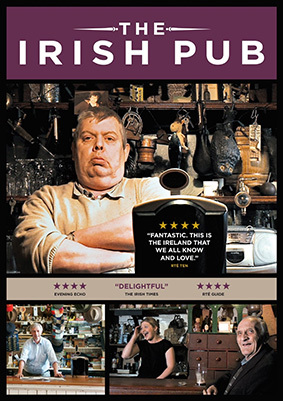 The characters in this endearing film all run and own pubs that have been in their families for generations and it is through their warmth, wit and wisdom that we gain an insight into the heart and soul of the Irish Pub. The Irish Pub will premiere in London on the 20th of November as part of The Irish Film Festival which showcases new Irish Film to a London audience each November. The screening will take place in The Tricycle Theatre, Kilburn and Director Alex Fegan will participate in a Q&A which will be led by Shelley Marsden, Arts Editor for The Irish World. Said Donald Clarke of the film in The Irish Times, "The Irish Pub is delightful throughout and makes an implicit (but forceful) argument for the magnificence of the traditional Irish pub." The Irish Pub will then be released on UK DVD on 25th November 2013 by Element Pictures Distribution at the RRP of £15.99. No extras have been listed. A small whiskey would have been nice.